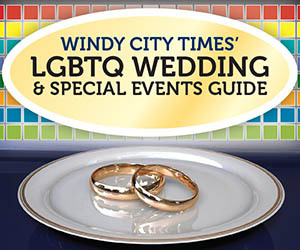 CHICAGO  This fall, Windy City Times, Chicago's only LGBT newspaper, will mark its 30th anniversary with a large celebration at Sidetrack bar, Sunday, Sept. 27, 2-5 p.m.
Windy City Media Group, the company which produces Windy City Times, is announcing a series of changes this summer, leading up to the anniversary events. First, the company launched a $30 for 30 Years Indiegogo campaign for its award-winning investigative journalists and their work covering the LGBT community. Windy City Times has always been a free weekly newspaper, and the funds raised will cover editorial projects. See www.indiegogo.com/projects/windy-city-times-30th-anniversary/x/396864 . Second, Nightspots, a bi-weekly, glossy nightlife guide, will be merged into the weekly Windy City Times. Nightspots started as an insert publication called Nightlines, but 25 years later WCMG believes the next step in its evolution is to offer weekly coverage in its sister publication, with 4-color photos on a weekly basis, rather than just twice a month. Nightspots Managing Editor and Art Director Kirk Williamson will continue as the leader of Nightspots, which will offer the same breadth of coverage while adding new features. Nightspots will also expand its presence on Instagram, Twitter and Facebook. 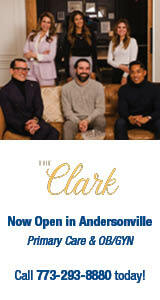 "I am so excited about moving Nightspots in new directions online, and into the weekly pages of Windy City Times. This gives us a much quicker turnaround in covering community events," said Williamson, who is art director of Windy City Times. The third change will be the discontinuation of Windy City Queercast ( WCQ ), the weekly podcast of news and entertainment for Windy City Times. WCQ was formerly known as Lesbigay Radio, the nation's first daily LGBT radio program airing in the late 1990s in Chicago, which transitioned into Windy City Radio on the FM dial before the launch of WCQ in 2006. Amy Matheny has been the host of WCQ, Windy City Radio, and Lesbigay Radio for 17 years, which makes her one of the longest running hosts of an LGBT radio program in the U.S.
"It has been a privilege to be in conversation with thousands of members of the LGBT community these past 17 years," Matheny said. "I have worked alongside exceptional co-hosts over the years, including Alexandra Billings, Mitchell Fain, Stephen Rader, Deb Pearce, Colman Domingo and Miss Cleo. We did incredible ground-breaking work and WCQ gave voice to the LGBT community in a deeply personal way." Matheny will continue her work as Senior Account Manager with WCMG. These changes will take place starting end of June. For info on the fundraising campaign, see www.indiegogo.com/projects/windy-city-times-30th-anniversary/x/396864 . Windy City Times' website is: www.windycitymediagroup.com .